Welcome to ATLANTA! With Steak, Finneran, Sandra, Cellini, Dimino, Buck, Kincade, Chuck, Chernoff, Hometeam and Hamilton we have been in ATL for over 293 years! Rest assure when we say we are the Signature Sports Radio Station of the South! Check out below where to get the best grub, where to get your drink on, what to do and where to visit! Count on us for ALL THINGS Atlanta! Many of the city’s major attractions are downtown and around Centennial Olympic Park, which was built for the 1996 Summer Olympics. Admire the sculptures modeled after athletes. Atlanta is home to some of the best Southern food in the country, but that’s not all this city is known for. From BBQ joints, to authentic Italian pizza, to basic brunching, Atlanta has it all. The hottest shopping destinations in the Southeast! Neiman Marcus, Macy’s, Dantanna’s, multiple movie theaters and a wide variety of places to eat that range from restaurants! 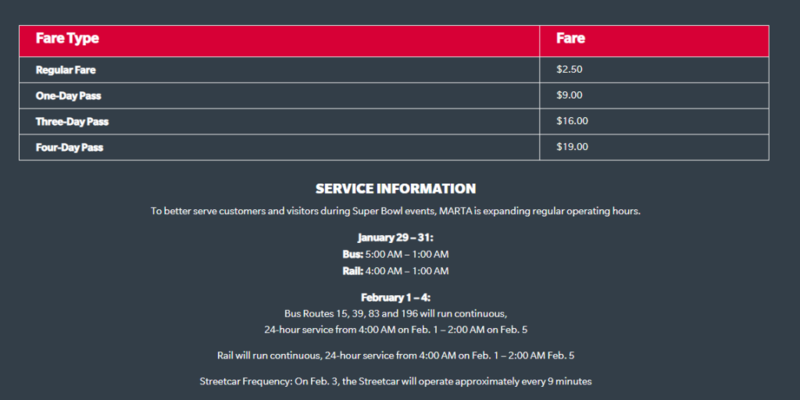 Parking decks and lots are located near the stadium, but to avoid driving, take MARTA trains to the Vine City, Georgia World Congress Center or Peachtree Center stations. 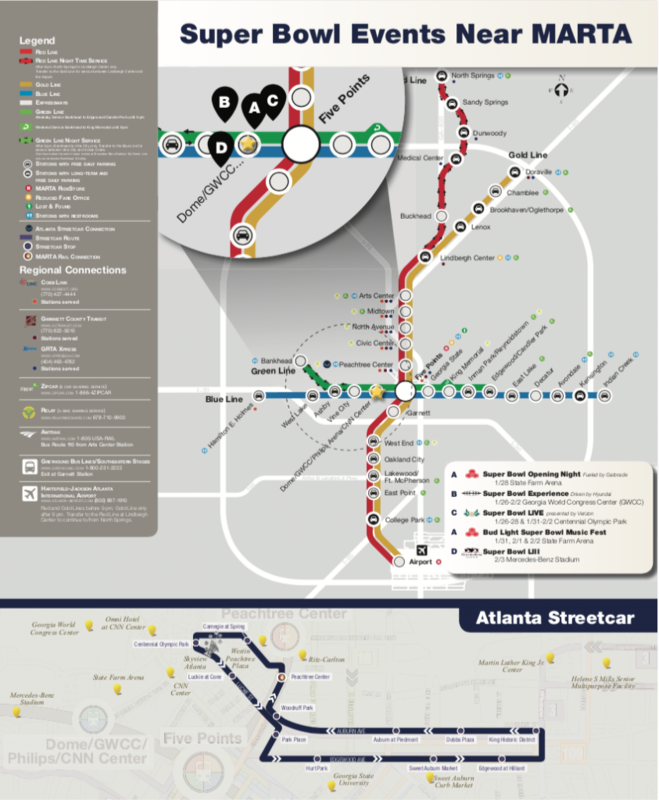 The Atlanta Streetcar, Relay Bike Share and rideshares are other transportation options. 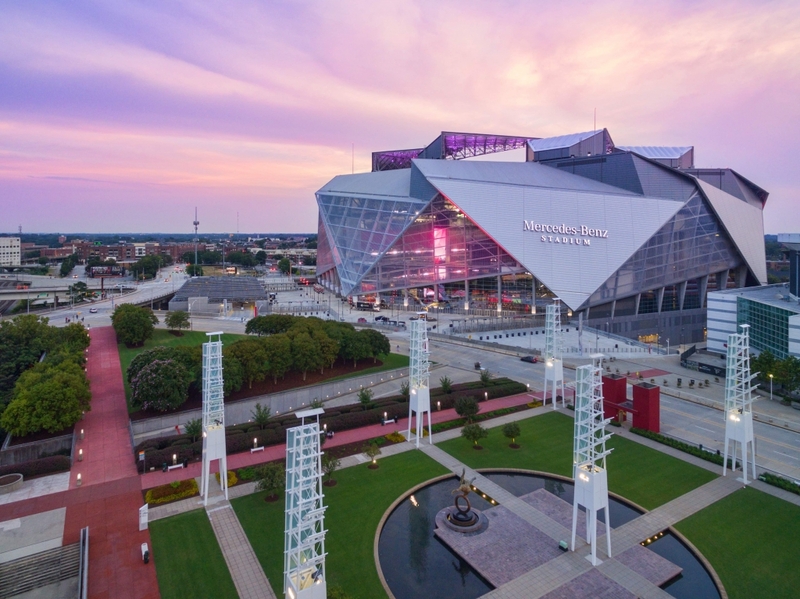 When visiting Atlanta for Super Bowl LIII, give yourself some time to explore some of the city’s most popular attractions. While you’re out, you’re sure to notice some of Atlanta’s many murals. There’s something special about the ATL bars that can withstand the test of time and trends. They represent us as a community. A place to grab a pint and hold court on anything from MARTA to how bad traffic is. Have Fun and Be Safe! Enjoy Visiting ATL!! !